Since 1978, New Horizons has partnered with youth experiencing homelessness in Seattle on their journey toward sustainability. Every night in King County, homelessness disconnects over 1,500 youth from the resources they need to survive and thrive. 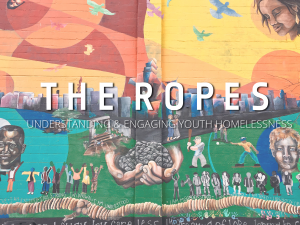 Your partnership reconnects youth to opportunity by sustaining empowering resources and supportive relationships at New Horizons. Every night in King County, homelessness disconnects over 1,500 youth from the resources they need to survive and thrive. Your partnership reconnects youth to opportunity by sustaining empowering resources and supportive relationships at New Horizons. How does New Horizons help? You can help someone with whatever they need most – whether that’s job training, case management, or transformative relationship. Click here to learn about ways to partner with us. We like you. Will you like us, too? Partnering with Seattle’s street youth on their journey toward sustainability.